Browse our stocklist of used and unworn luxury watches such as Rolex, Omega, IWC, Breitling & More. Call us on 01492 535622 for more information. 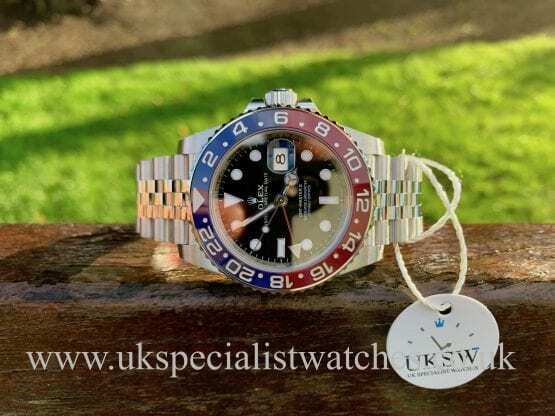 UK Specialist Watches are a prestige watch dealer based in the heart of North Wales, North West of the UK. We specialise in luxury watches including Rolex, Audemars Piguet, Cartier, IWC, Patek Phillipe and Panerai. 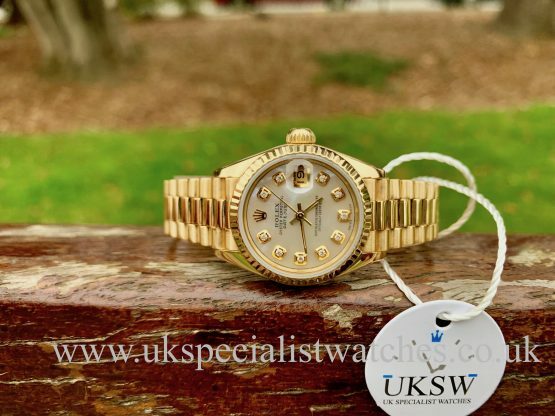 We will also buy your unworn and pre-owned Rolex watch and other prestige brands including Vintage watches. 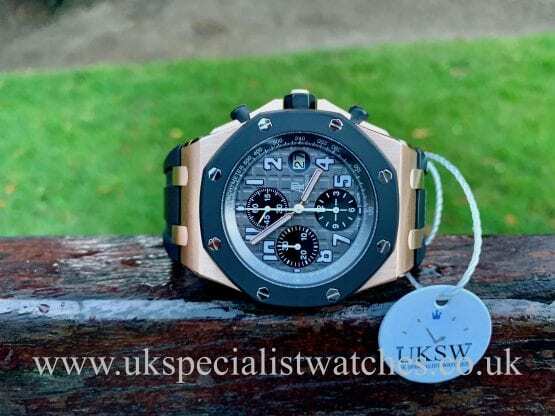 Please view our Stocklist for our current selection of prestige and Rolex watches for sale. As with their new Rolex counterparts, used Rolex watches are statement timepieces available in a variety of styles and dial colors depending on which used Rolex watches we have in stock at the time. Rolex Stainless steel and two-tone versions include those with champagne stick dials; white Roman dials; blue and pink stick dials; silver diamond dials; red stick dials, silver stick dials; black stick dials and more. 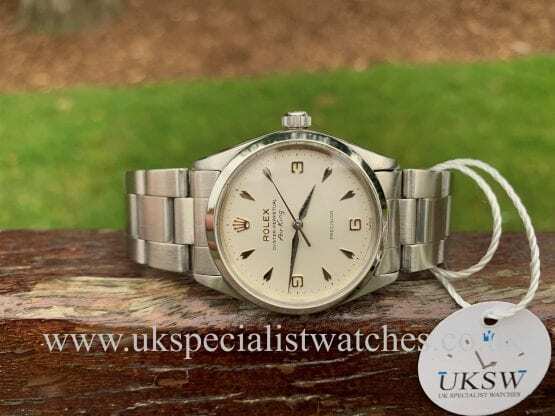 If you’re interested in purchasing used Rolex watches please feel free to browse our watchlist and please contact us. 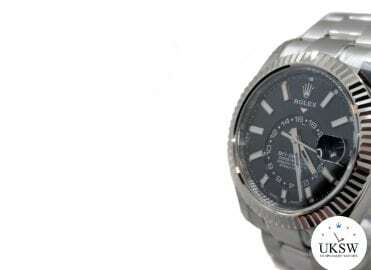 At UK Specialist Watches you can be sure to find some of the best Rolex watches for sale. With our wide range online catalog of available Rolex watches for sale, you shouldn’t find it too difficult to locate the perfect timepiece. 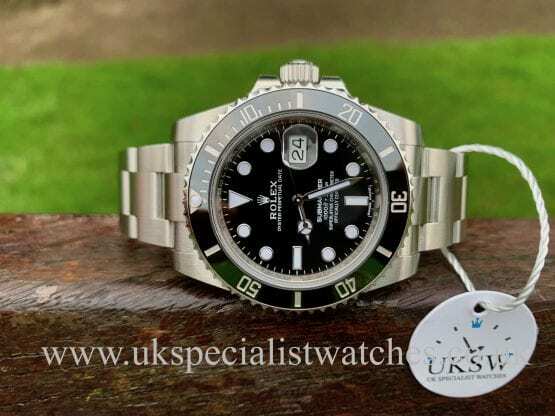 Remember we’re always here to provide advice & guidance when sourcing Rolex watches for sale so please feel free to contact us to discuss your options. We have an excellent range of Mens Rolex Watches for sale on our website both unworn & used rolex watches. If you have any questions regarding any of our mens Rolex watches listed, please contact us or send an enquiry. The world of nostalgia has exploded and with it the demand for Vintage Watches. Vintage Watch collecting has always been big but over the last five years the growth has accelerated phenomenally. This is largely helped by the Internet and social media which has accelerated global interest in Watches. So which are the best investment pieces? 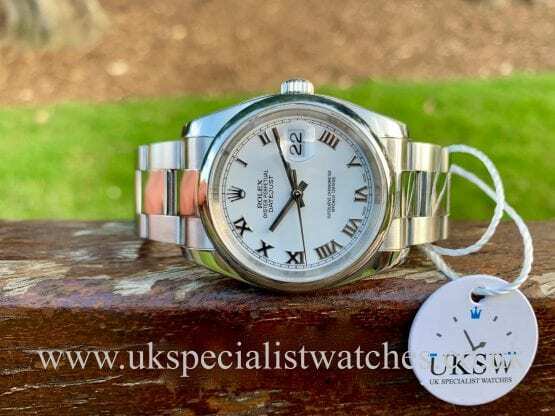 Relatively obtainable in value (£3,000- £8,000) watches hold their value very well- and many appreciate in value, the most popular is the Rolex Watch. A Vintage Rolex and now a Vintage Tudor “the working man’s Rolex” are some of the best investments around. This is especially attractive to those looking for an investment piece that they can wear and enjoy and that doesn’t have to sit in a safe. When looking at a Vintage watch that is likely to increase in value, branding is very important. Rolex is certainly the first name that would come to many people’s lips when talking about vintage watches. Rolex’s fame comes largely from its reputation for innovation- it produced the first watches with automatically changing day and date indicators and it was a pioneer in developing waterproof timepieces, first the Oyster and the Submariner. Rolex dominates the second hand market as well as the new market. Rolex keeps the production line of its range of watches small which helps retain their value. 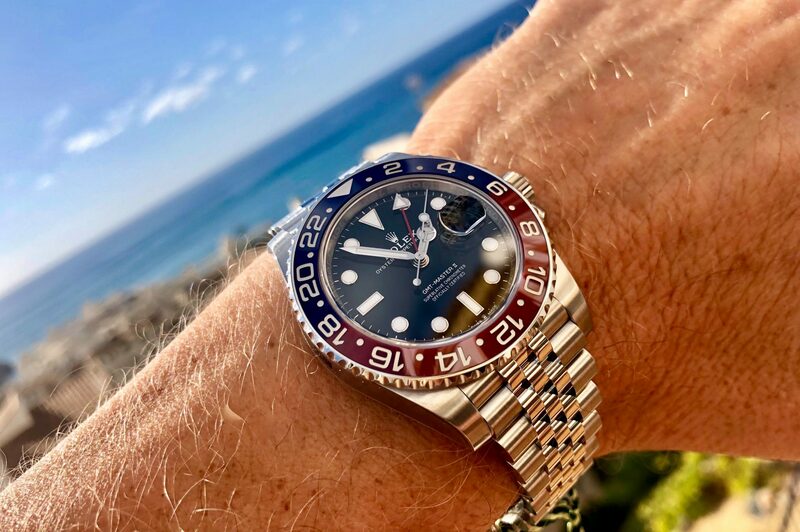 The Rolex watches that have done the best over time have been the sport watches, for example the GMT, Submariner and Daytona, providing a less formal and more usable watch for all round wear. A Rolex is generally considered Vintage after around 20-30 years and from then on starts to appreciate gradually in value. Increasingly popular is the desire to buy a Vintage Rolex produced in the year of birth for the wearer. Limited supply is key to the increase in value. The internet allows the purchaser to research models which are known to hold value. It provides the ability to monitor everything that happens with it, what the demand and competition is. Rolexes in the previous model range such as the 16800, the last submariner made before the current one are also gaining in demand. Most importantly, if you are considering “investing” in a Vintage Rolex Watch the main driver should be please and enjoyment along with a sense of achievement rather than any speculation regarding a return on investment. A Rolex watch is a piece of jewellery to wear, something emotional and personal. Rolex has spent decades creating the marketing image that a Rolex watch is a sign of success- it also happens to be a good watch. There are many collectable brands of watch. Among the best known are Omega, Audemars Piguet, Jaeger-LeCoultre, Cartier and Breitling. The undisputed aristocrat among Swiss watchmakers is Patek Phillippe. The company started making pocket watches in 1839 and has been responsible for some key innovations in the industry, such as the perpetual calendar, split seconds hand, chronograph and minute repeater. The Patek Philippe Nautilus is among the all time classics. First introduced in 1976, its design was inspired by the shape of a porthole. The company is responsible for some of the most expensive watches ever sold. Most of the major brands have iconic watches in their portfolios. Rolex have the Submariner, Jaeger- LeCoultre the Reverso and Omega the Speedmaster and Cartier the Tank. Omega, best known as a mass market manufacturer of modern watches, is becoming more collectable while Longines are less so. A potential classic for the future are the contemporary Richard Mille. Watch this space. You’ve probably heard at some point in your life that watches, particularly Rolex watches offer a great investment opportunity. But is there any truth in this old utterance or is it just all wishful thinking? 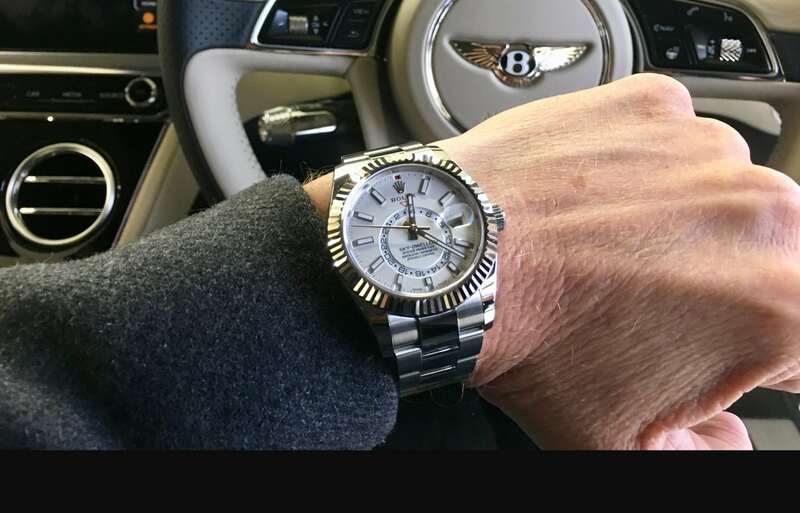 If you invest in a Rolex watch will you be wasting your time or having the time of your life? 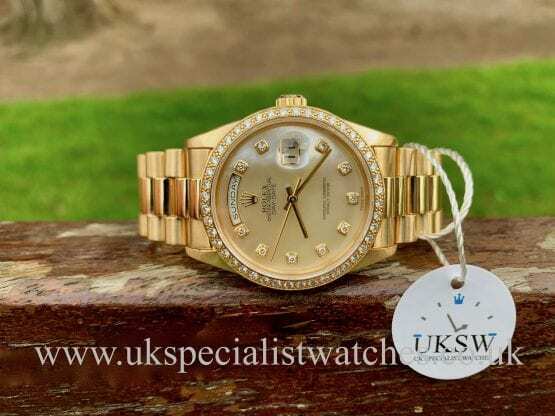 If you’re looking for Rolex watches in the UK, Ladies Rolex watches or maybe you’ve thought its time to ‘sell my watch’ then read on. They make their own gold: Remarkably Rolex is the only watchmaker to make their own gold; they either have trust issues or are slightly obsessed with quality. It takes a year to make each watch: In this day and age that might sound like rather a long time to make one watch but when you consider they hand make and assemble all of the parts themselves and vigorously quality test them you will understand why. They don’t believe in outsourcing: To keep at the top of their game many of Rolex’s processes and techniques are entirely secret meaning nobody can replicate the quality that they produce. They have their own science lab: Well this is getting a little OTT now isn’t it? This scientific obsession ensures their research and development stays one step ahead. All of the moving parts are hand-assembled and tested: While many assume Rolex watches are entirely machine-made this isn’t true. While they could machine the moving parts the robots just don’t do as good a job. So now you might be thinking its time to invest in a Rolex or to sell my watch, lets see how some Rolex’s have done as an investment. 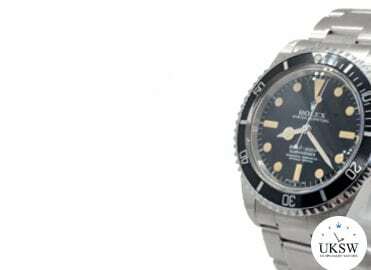 The Rolex Submariner made famous by James Bond is likely to be a solid investment. According to watch expert Simon de Burton: “You never see examples older than two or three years selling for any less than what they originally cost. And that’s because of Rolex’s consistently good quality. Their Submariner was the pioneering diving watch of the Fifties, and in 2013 you can wear it every day with everything.” A 1958 Oyster Perpetual Submariner can sell for up to £50,000. 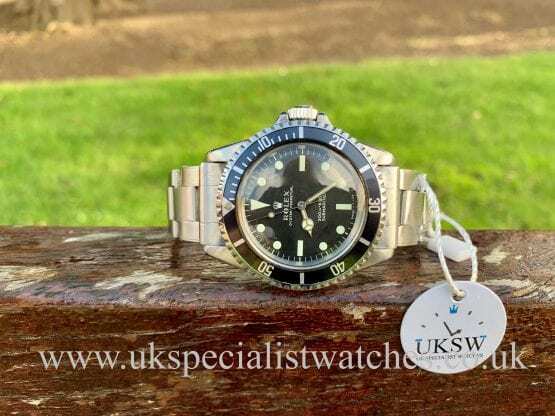 Typically depending on the model and condition you could expect to sell a vintage Rolex Submariner for between £10,000 and £15,000. 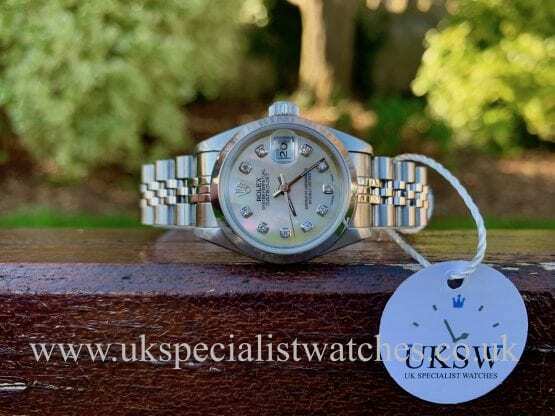 While Rolex’s time-honoured steel sports watches are virtually guaranteed to give you a decent return on your investment other Rolex watches such as ladies Rolex watches, military and chronograph are also sought after. 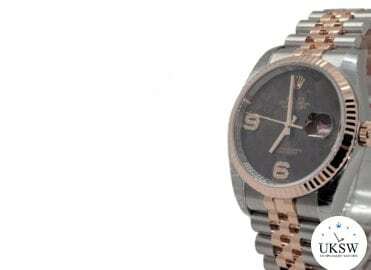 A Rolex 1019 Milgauss which retailed for $300 in the 60’s and could sell today for around $25,000. As explained by George Somlo of Somlo Antiques in London “We’ve had many recessions over the past forty years, none of them quite like this one, but buying antique or vintage wristwatches and pocket watches has always been a very solid investment” So while investment inRolex watches has proved credit-crunch proof it’s important to get the best for you money when purchasing. 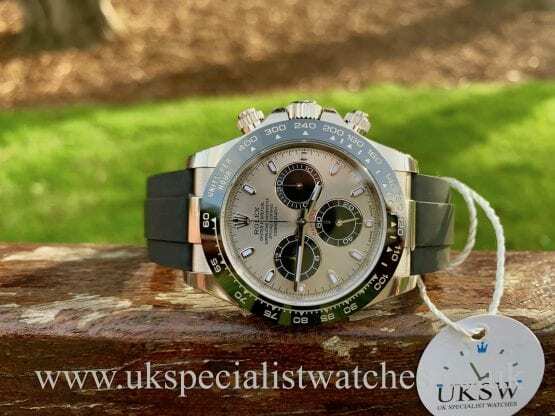 Here at ukspecialistwatches.co.uk we offer Rolex watches UK based and ensure quality and value for money. Let’s take another example; the legendary Rolex Explorer now considered a vintage watch, originally sold in 1966 to adventurous and explorer types. 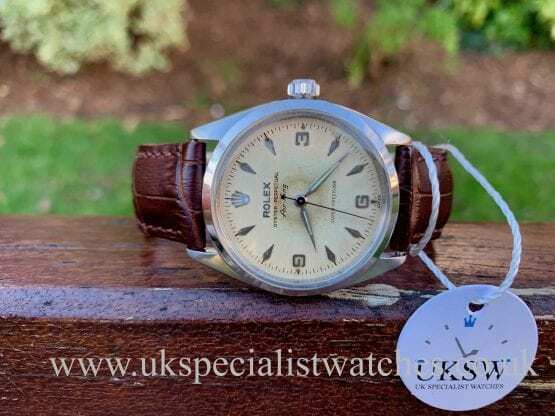 Inspired by the first successful summit climb of Mount Everest in 1953 the Rolex Explorer would of set you back around £120. Now that may sound cheap but inflation plays a big part, despite this if you had of bought the Rolex Explorer in 1966 for £120, taking inflation into account you would see return per year of between 7% and 10%. Could you find another investment that can match that level of return so consistently? While Rolex watches are thought to be a male obsession they have made some stunning and highly investable ladies Rolex watches over the years. A ladies 1935 gold Rolex can be purchased for between £1000 and £5000 and offer the same quality as the men’s watches produced by Rolex. 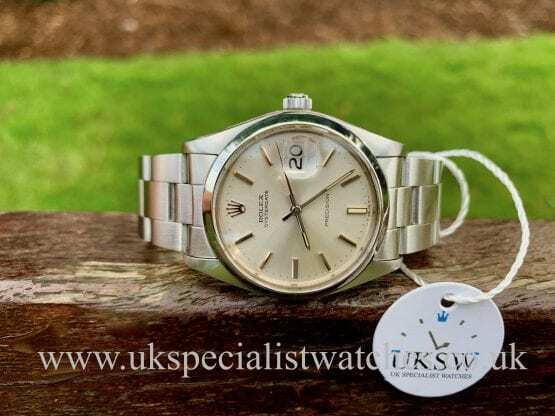 While not all Rolex’s come with an legendary back-story, as they have always been held in such high regard it’s a fairly safe bet that a 50 year old Rolex has been on the wrist of someone great at some point in its life. This provenance will only add to the value. As Hans Wilsdorf, the founder of Rolex used to give watches away to prisoners of war (although he did ask them to pay for them at the end of the war) there is a high chance a second-hand Rolex has a bit of a story attached to it. A Rolex that was owned by the RAF pilot and prisoner of war Gerald Imeson who originally paid £170 for his Rolex Chronograph was sold in 2013 at Bourne End Auction Rooms in Buchinghamshire for £50,000. 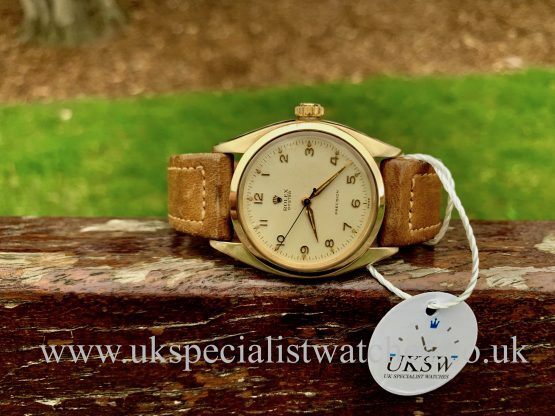 Another watch of the same model from a different prisoner of war also recently sold for £24,000. Both a remarkable return on investment for Rolex watches in the UK. If that hasn’t made you immediately jump up and scream its time to invest in a Rolex watch or to ‘SELL MY WATCH!’ then news of a recent sale of 50 Rolex Oyster Daytonas, a model that dates back 50 years, at Christie’s in Geneva 2013 sold for £8.25m might help to convince you. Rolex watches are universally renowned as status symbols they have a long history of craftsmanship and precision and are the very essence of glamour, wealth and sportsmanship. With humble beginnings in London, England in 1905, Rolex began as Wilsdorf and Davies, a family business who imported Swiss watch movements and placed them in quality watch cases before distributing them to jewelers. In 1908 the name Rolex was born, most likely a made up name chosen for its uniform letters and legibility in any language. Hans Wilsdorf wanted a name that was short, easy to say in any language and which looked good on watch movements and dials. The longevity of the Rolex brand as a luxury watch is undoubtedly due to the company’s relentless quest for chronometric precision. In 1910 Rolex was the first wristwatch in the world to receive the Swiss Certificate of Chronometric Precision from the Official Watch Rating Centre in Bienne. This acclamation was followed in 1914 by a certificate from the Kew Observatory that was normally awarded to marine chronometers. This set the standard and the reputation that the Rolex wristwatch was synonymous with precision. Following the rise of wartime taxes that were levied on luxury imports and the rising costs of export duties on the silver and gold used for the watch cases the Rolex watch company moved to Geneva, Switzerland. Oyster: first produced in 1926, this was the first ever waterproof wristwatch. Its name comes from the hermetically sealed case which protects the movement. The success of this model was reinforced by testimonials from some of finest sports personalities who relied on the performance of the Rolex Oyster to accompany them in the world of sport, aviation, motor racing and expeditions. Datejust: The first self winding wrist chronometer which showed the date on the dial. Introduced in 1945 it had a specially created Jubilee bracelet and a fluted bezel. Originally produced for men with women’s watches becoming available later. Oyster Perpetual Explorer: launched in 1953 to celebrate the victorious ascent of Everest this was watch was an instant success. The Rolex Submariner: Launched in 1953, was the first divers watch waterproof to a depth of 100 metres (330 feet). Its rotatable bezel allows divers to read their immersion time. GMT Master: during the 1950 aviation travel became increasingly popular. This watch was developed to meet the specific needs of airline pilots. The official was of Pan AM airways this watch is distinguishable by its two tone bezel depicting daytime and nighttime hours. The Oyster Perpetual Day-Date: This watch was originally only available in 18ct Gold or Platinum instantly giving it appeal to the more select clientele. It was introduced in 1956 with the President bracelet created especially for it. It was the first wristwatch to display the date and day of the week, spelt out in a full window on the dial. The Oyster Perpetual Milgauss: 1956 “the perfect magnetic shield” designed to meet the demands of the scientific community. The major innovation at the heart of the Milgauss’ incredible resistance to magnetic interferences is the shied protecting the movement. Rolex Deep Sea Special: in 1960 this experimental watch stood the ultimate deep sea challenge during a dive to the depths of the ocean. The Cosmograph Daytona: named after the Florida beach where the speed legends of the world would break land speed records. The sand was replaced by a speedway and the legendary and most prestigious car race was born, the Rolex 24 Daytona. Launched in 1963 as a new-generation chronograph, the Cosmograph soon gained the name that became the mark of an icon: Daytona. Designed as the ultimate tool for endurance racing drivers, the Cosmograph Daytona was robust, waterproof and featured a tachymetric scale on the bezel for calculating average speed. Oyster Perpetual Explorer II: 1971, a watch dedicated to world explorers, featuring a 24 hour hand, useful in continents where night is indistinguishable from day. In 1985 Rolex became the first watch making brand to pioneer the use of 904L for the cases of all its steel watches. It is most commonly used in high technical industries having excellent anti-corrosion properties that are comparable to precious metals and offers a final polish of excellent sheen. Pearlmaster: 1992 an updated representation of the Lady-Datejust. The Rolex Deepsea 2008: built to challenge extreme underwater exploration, the Ringlock System, allows the case to withstand water pressure equivalent to a weight of three tonnes on the crystal. The Rolex Deepsea can go deeper than all but a few purpose-built research submersibles, and more than 100 times beyond the depth that any human could physically survive. 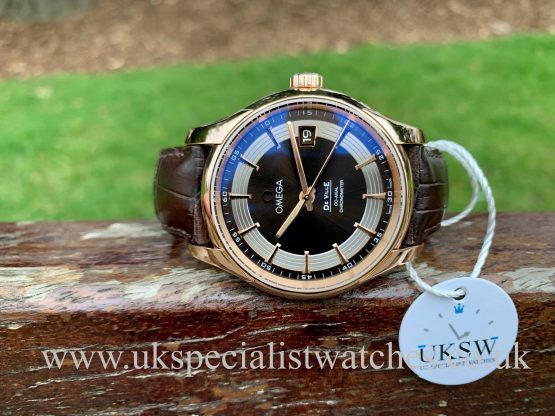 The Oyster Perpetual Sky-Dweller 2012 with its impressive 42 mm case was engineered for world travelers its has a user friendly dual time zone and annual calendar. 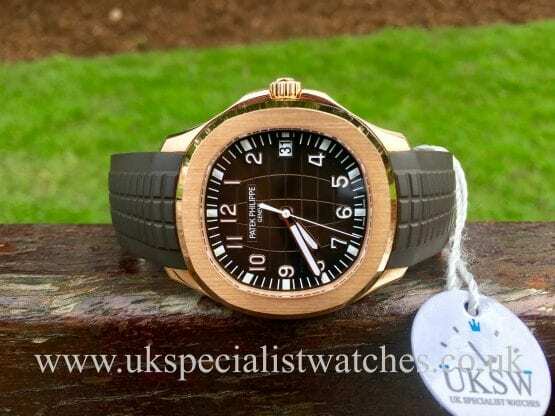 UK-Specialist-Watches are a leading prestige watch supplier based in the United Kingdom. We have an extensive selection of unworn and used watches including Rolex, Audemars Piguet, Cartier, IWC, Patek Phillipe, Panerai and Omega. 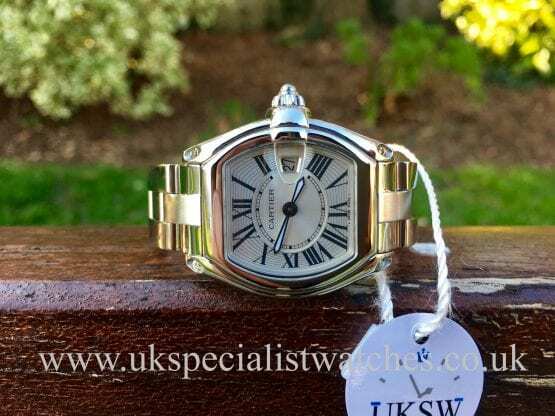 If you are looking for a high quality time piece then UK Specialist Watches is the perfect place to begin. Our Stocklist showcases our latest selection of pre owned gents and ladies Rolex watches and other high quality luxury models. Our pre owned watch selection varies frequently and we often have prestige vintage models in stock. 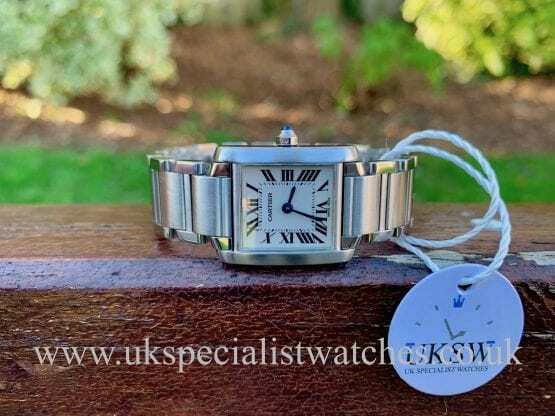 We endeavour to offer only the finest quality pre owned watches supplied with original boxes and paperwork wherever possible. The most popular Rolex models including the Rolex Daytona, Submariner, Yacht-Master, Deep Sea and Lady Datejust are often in high demand. We update our Stockist with all the latest watches that we have in stock on a regular basis ensuring that our most recent additions are available straight away. If you don’t see what you are looking for then please don’t hesitate to contact us. With over 15 years experience we take care to source the finest examples of pre owned luxury watches and pre owned Rolex watches. We give a personal service ensuring that the customer is completely confident about their purchase and the authenticity of our products. 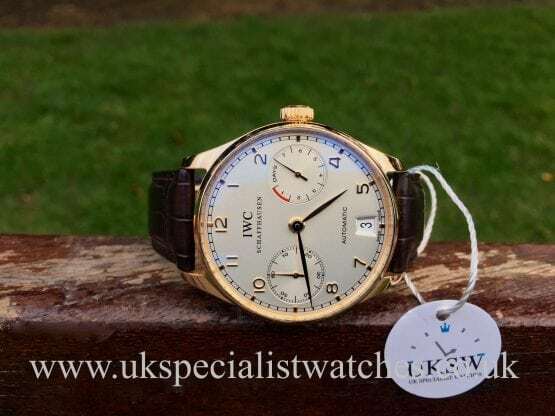 We tailor our service to the individual requirements of our clients meaning that your purchase from UK Specialist Watches is the beginning of a long acquaintanceship. If you’re looking for second hand rolex watches then you’re in definitely in the correct place. We buy & sell second hand watches so please make an enquiry if you have any questions. 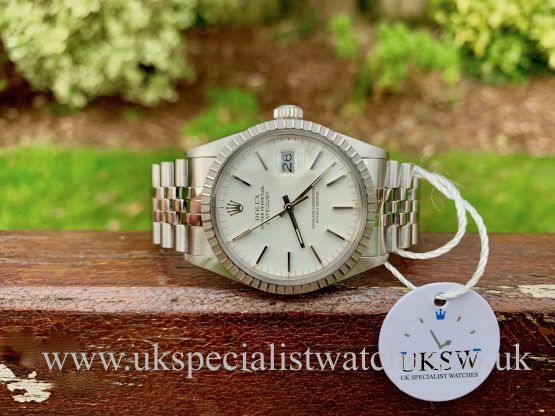 We offer guaranteed assurance of our service, if you are trying to find the best possible price for your Rolex, whether it is unworn or pre-owned, you can trust UK-Specialist-Watches as one of the UK’s most reputable independent watch suppliers to provide you with an expert evaluation and prompt payment. We pride ourselves on the level of our service and promise you an experience second to none. It is commonly known that all Rolex watches retain their value very well, some models being much more expensive than others. 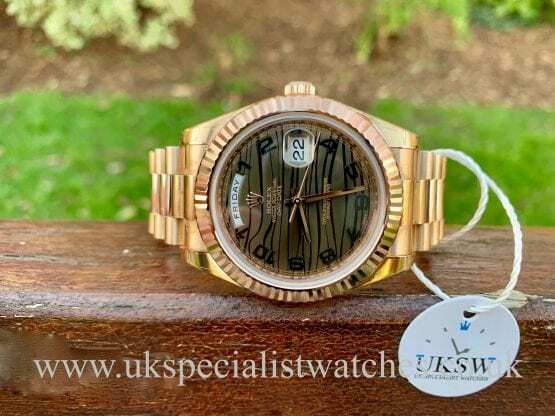 The rarer your Rolex watch, the greater the value we are prepared to offer you for it, whether you choose to part exchange it for another watch or if you decide to sell it to us outright. 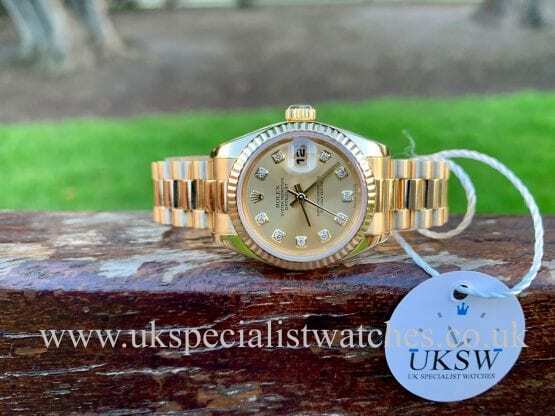 If you are trying to find the best possible price for your Rolex, whether it be unworn or pre-owned, you can trust UK-Specialist-Watches one of the UK’s most reputable independent watch suppliers to provide you with an expert evaluation and prompt payment. We have simplified the process of which you can sell us your watch through the means of a form that you will need to complete. You are able to fill this form out on our website and sent it to us electronically so that we can clearly see everything in detail. Sell My Watch. 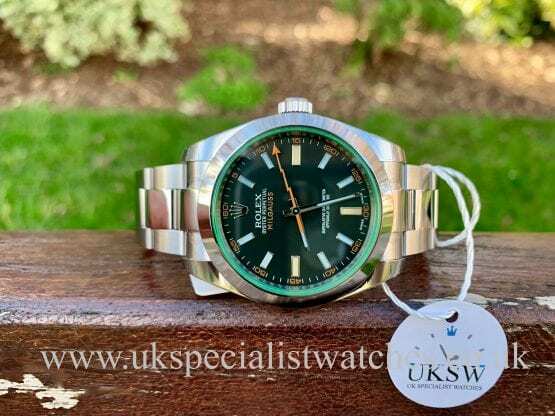 As many prestige watch owners will most likely tell you, the entire experience of dealing with UK-Specialist-Watches is nothing but satisfactory. Please remember, we have no affiliation with Rolex or any other watch brand. 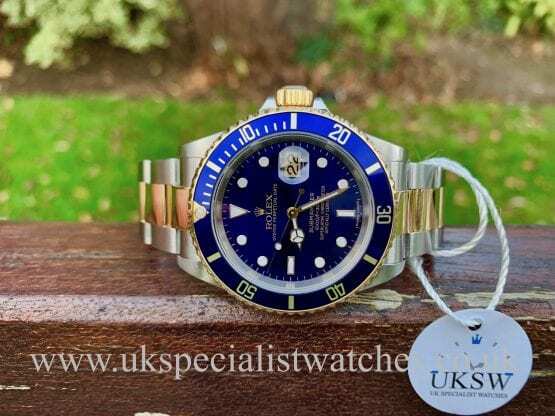 We are independent watch specialists that are able to buy and sell all brands and models of men watches and ladies rolex watches, regardless of age. How can I get the best deal when I sell my Rolex? 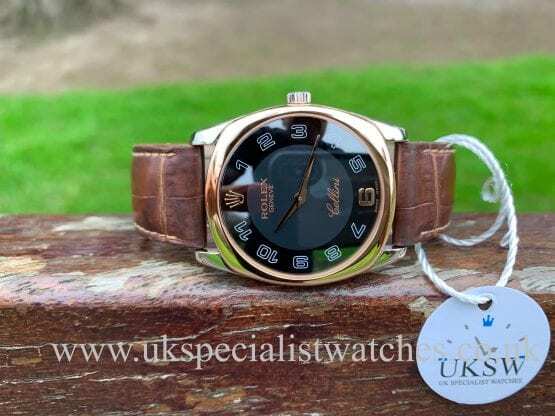 Where can I find a specialist trader to get a ladies Rolex watch valued? How about if I want to buy a Rolex, what should I be looking for? As Rolex watches UK specialists, it’s no surprise that questions like this come to us pretty often. So, to help you make the best decision when it comes to buying and selling a Rolex, we’ve answered your questions, and many more, in this brief guide, containing everything you need to know about making a profit from your luxury watch. What’s the best way to sell my Rolex? 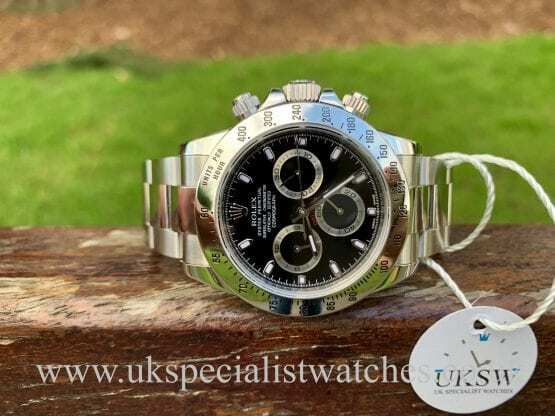 If you’ve never had to sell a Rolex watch before, making the decision to do so can bring about its own complications and questions, which is why you need a Rolex watches UK dealer who’ll not only make sure you get the best deal on your treasured timepiece, but who will make the whole so quick and simple you’ll wonder why you didn’t do it sooner. That’s where UK Specialist Watches come in. For many years, we’ve been helping customers just like you to get the best deal on their gents or ladies Rolex watch. Just by sending us everything you know about your watch through our easy-to-use online form, you’ll receive a full valuation in as little as just 48 hours. 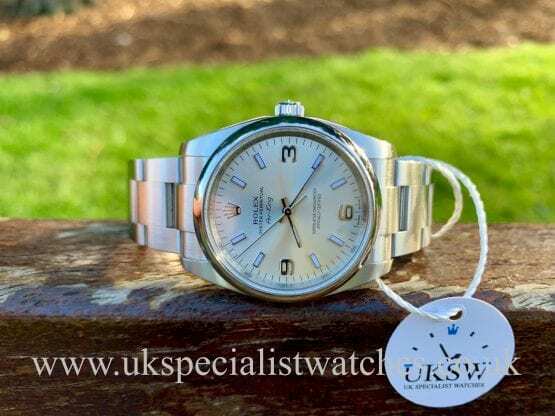 Dealing exclusively in pre-owned prestige watches, if we’re interested in the one you’re selling, we’ll make an offer that’s sure to beat any other you’ll receive from Rolex watch dealers in the UK. So the next time you find yourself asking ‘how can I sell my Rolex? you know just where to turn. What about ladies Rolex watches? Did you know that the first ladies Rolex watch was the Lady-Datejust, produced in 1957 and praised for its harmony of elegance and practicality? Since then, Rolex have produced a wealth of stunning luxury watches for women, many of which you can buy directly from us. 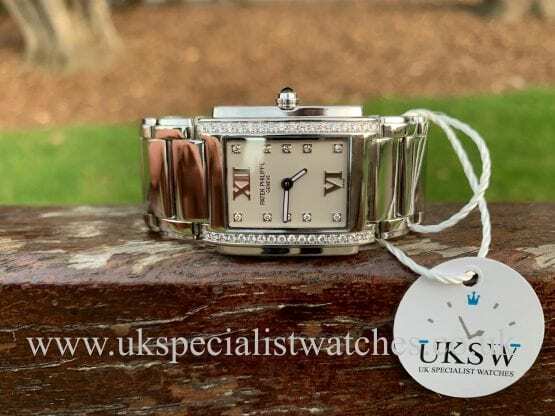 At UK Specialist Watches, we’ve developed something of a passion and expertise for quality ladies Rolexes, enabling us to not only offer fair, accurate evaluations of your timeless timepiece, but to become one of the UK’s leading specialists when it comes to buying and selling them too. I’m looking to buy a Rolex, which models should I consider? Our online Rolex watches UK store is regularly updated with our latest stock from each of these, plus many more luxury models. What should I look for to get the best deal when buying a Rolex? To guarantee that you’re getting genuine authenticity and the finest quality when buying a pre-owned Rolex, it pays to invest in one that comes with both its original box and all the paperwork. 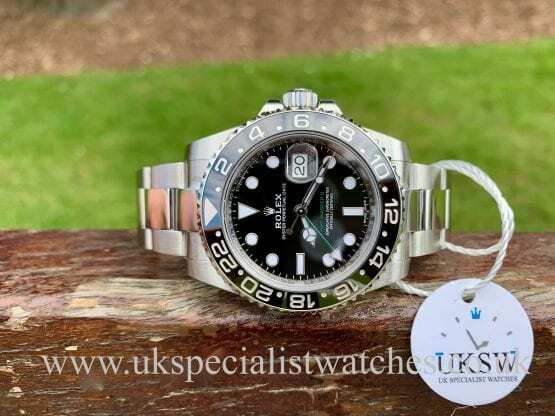 At UK Specialist Watches, we strive to offer both of these with all the Rolex watches we sell. What if I have other questions about buying or selling my Rolex?